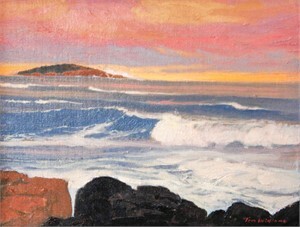 Thomas Williams concentrates on his passions of painting the sea. 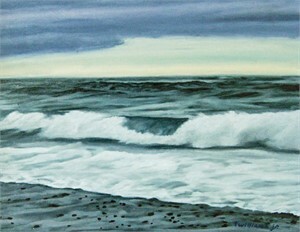 His works capture the atmosphere of the sea and all of its moods from subtle, rhythmic movements of a calm sea to the dynamic battle with the storm driven waves crushing against the rocky shore lines. His Paintings embody the color and composition of dramatic sunrises and sunsets along with shimmering nocturnal observations. The Artist received his education at Miami Dade University, Montserrat College of Art, and the Gloucester Academy of Fine Arts. While attending the Gloucester Academy of Fine Arts Thomas Williams got the opportunity to studied under such great masters as: John C. Terelak, Ted Georsner, and Salvatore Grasso. On artist influence - Thomas Williams follows in the footsteps left by other marine who have all painted the seas of Cape Ann & beyond, some admired artists are: Al Cerepak, Roger Martin, Oliver Balf, Frederick J. Waugh, Winslow Homer, Stanley Woodward, and Philip Shumaker. Mr. Williams is a member of the North Shore Arts Association, where he has served as a member of the board of Directors. He has the honor to be displayed in State of the Art Gallery, Newburyport MA, North Shore Arts Association, Gloucester MA, Marine Arts Gallery, Marblehead MA, Walsingham gallery, Newburyport MA, and Charles Fine Arts, Gloucester MA. 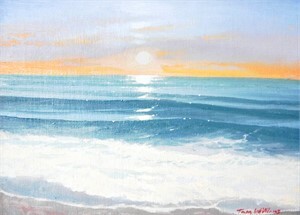 View Thomas Williams's Artwork on our marketplace.